The Universal Stair™ is of all aluminium construction making it outstandingly light and easy to handle and transport. 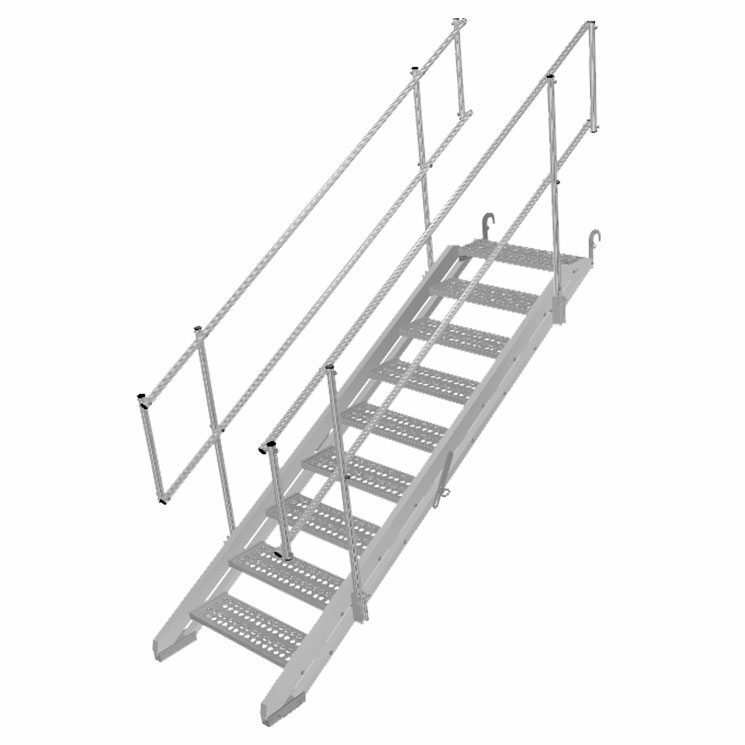 It is pre-assembled, all that is necessary is to unfold the stair unit, hang it from a scaffold tube and attach the guardrails, leading to minimum erection time on the site. The stair and guardrails are erected without spanner work, only a hammer and podger are required.